It’s an exciting time to be an elderly mouse. 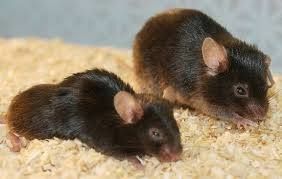 Researchers believe that by removing senescent cells (cells with a persistent damage response), which naturally accumulate with age, senior rodents can regrow hair, run faster, and improve organ function. This strategy may bring us one step closer to the “fountain of youth,” but it’s important to be cautious and not hype, says researcher of aging Peter de Keizer of the Erasmus University Medical Center in the Netherlands. In an Opinion published December 29 in Trends in Molecule Medicine, he discusses the milestones the field still needs to hit before translation in humans is ready for discussion.